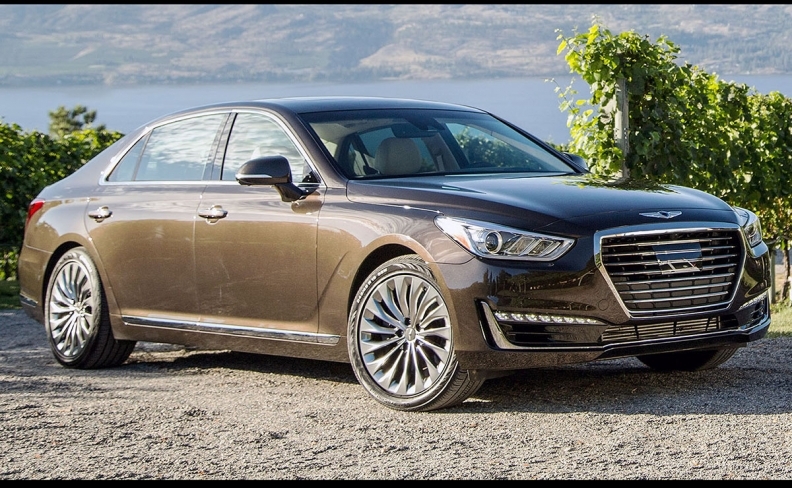 The Hyundai Genesis and Equus sedans have been moved to the new Genesis brand as the G80 and G90, respectively. Hyundai’s new Genesis luxury brand is officially on sale in Canada, but without specific stores or even a presence in Hyundai dealerships, customers might not even know it. Automotive News Canada first reported in September that the Korea-based automaker would sell its pair of high-end sedans — the G80 and the G90 to replace the current Genesis and Equus models — in a concierge manner as the two-car lineup is too low-volume to justify its own dealer network. Instead, the “Genesis at Home” program will have sales staff bring demo cars to the homes and workplaces of prospective buyers. Customers will then be able to complete the transaction online. After the sale, cars will be picked up for service and returned to customers. People considering a Genesis can book an appointment to test drive a model through the car's website. Hyundai plans to expand the Genesis line to include compact and midsize tall wagons, a compact sedan and a coupe. Jeremy Sinek contributed to this report.